100 N. Christopher Columbus Blvd. Our new hotel in the historic Old City district of Philadelphia is renovated with all the comforts of modern life in the birthplace of America. 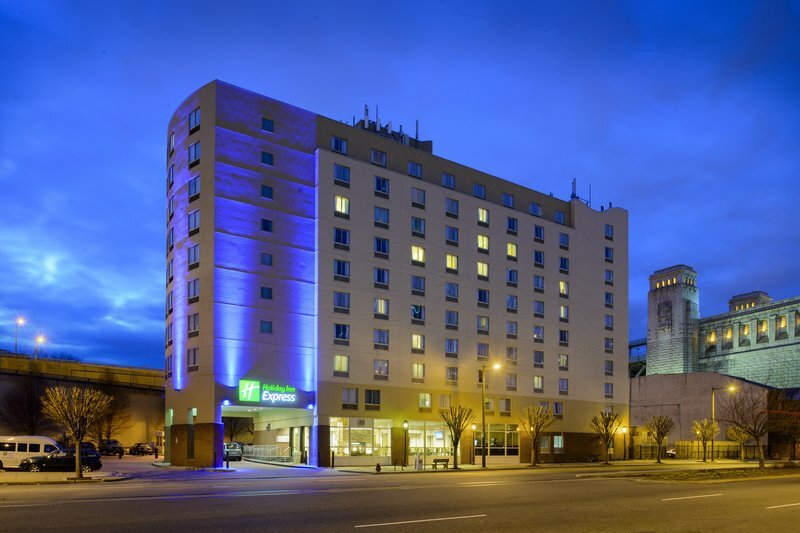 Holiday Inn Express Philadelphia E Penn's Landing marries an incredibly convenient location with an impressive range of free services. 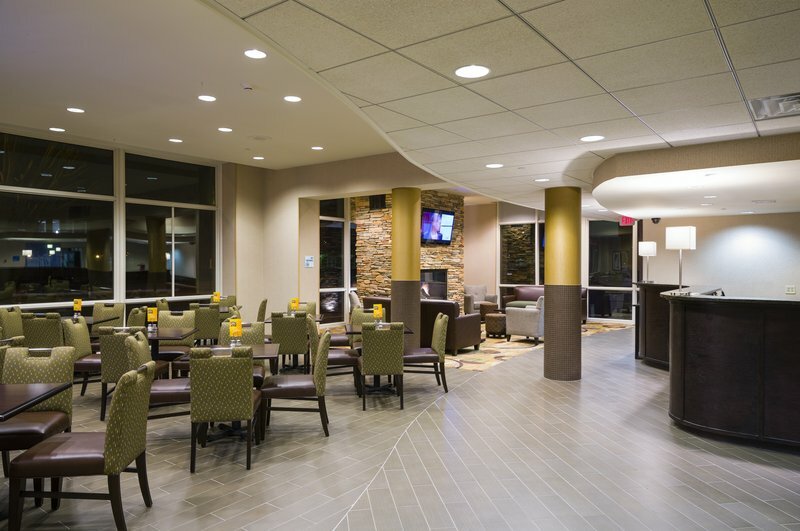 Every guest enjoys a free Express Start Breakfast at the start of the day, with complimentary access to Wi-Fi Internet throughout the hotel, and a free shuttle to local attractions. All our rooms are impeccably clean and comfortably spacious, available in discount travel packages as well. 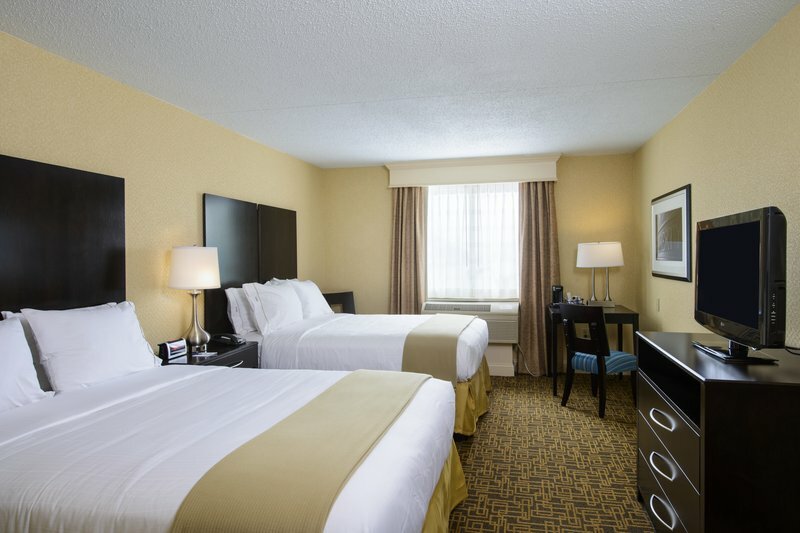 Located in the heart of historic Philadelphia, our hotel is walking distance from popular attractions, such as the Liberty Bell Center and National Constitution Center, with free shuttle service to Chinatown, the Convention Center, Reading Terminal Market, Love Park, and more. Refurbished to suit modern travelers craving extra space to stretch out, our 184 rooms are exceptionally open, well furnished, and clean. Thanks to our Waterfront location, some even feature spectacular views of the Center City skyline or Delaware River. Embracing the tradition of "Great Hotels Guests Love," service is our specialty. 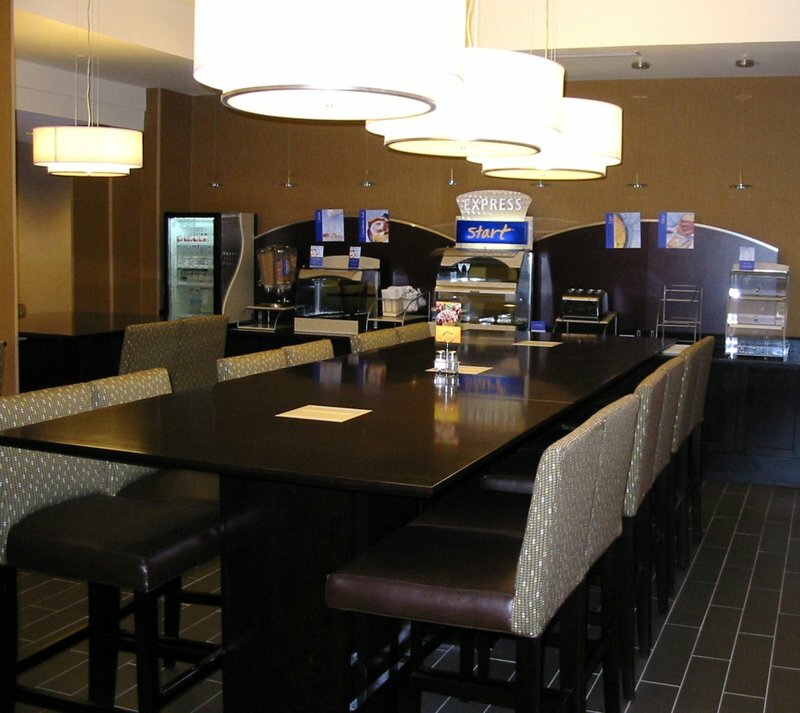 Starting with a free breakfast, guests receive complimentary Wi-Fi Internet access, and access to our free local shuttle during operational hours. There's also an on-site Fitness Center, Business Center, and meeting space. An Express Start Breakfast is free for every guest, but we encourage you to dig into Philadelphia's rich food culture at some of the delicious restaurants close to our hotel, including the bistro fare at Race Street Caf�, fresh crabs at DiNardo's Famous Seafood, and cheesesteaks at Jim's Steaks.